Happy 100th Birthday Banner. WOW! Now this is a birthday to celebrate! 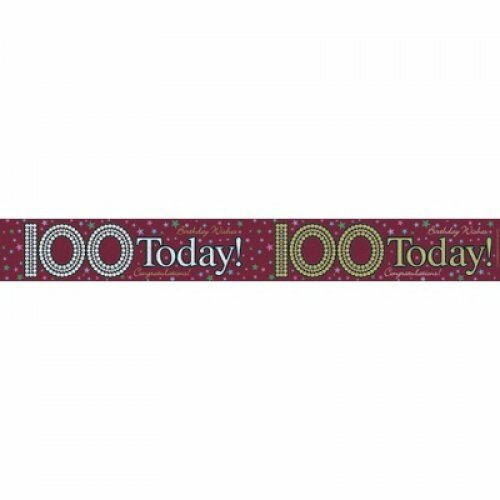 This beautiful red banner is perfect for celebrating and decorating a 100th birthday party. Perfect for around a cake table, or plaster them around the walls for a fun and colourful decorations! Check out our birthday balloons, we also do balloon garlands, giant foil balloons and total balloon theming to transform your venue to celebrate a 100th birthday party.